The Togian Hawk Owl is a small to medium-sized owl with no ear-tufts. 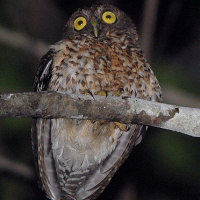 It is also known as the Togian Boobook. 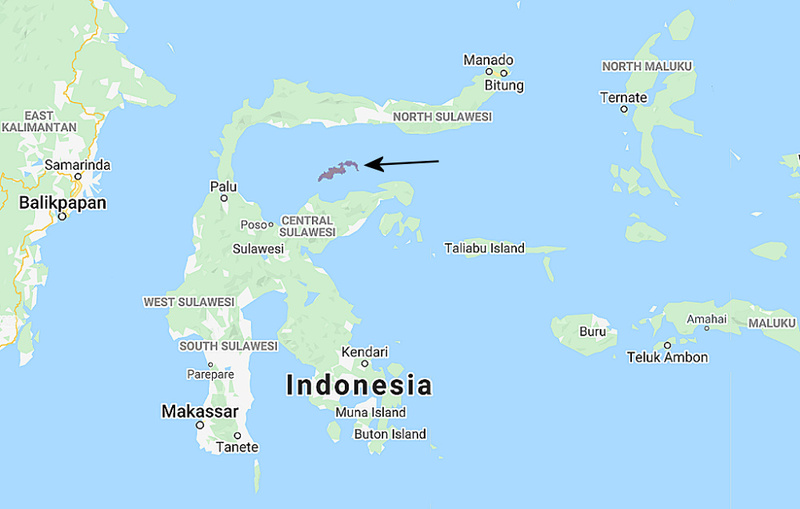 Distribution: Endemic to the Togian Archipelago off central Sulawesi. Status: Uncertain. Occurs in moderate numbers in its very limited range. Original Description: Indrawan & Somadikarta. 2004. The Bulletin of the British Ornithologists' Club, 124, p. 160-171. See also: Other owls from Asia, Genus: Ninox. Page by Deane Lewis. Last updated 2015-12-22.